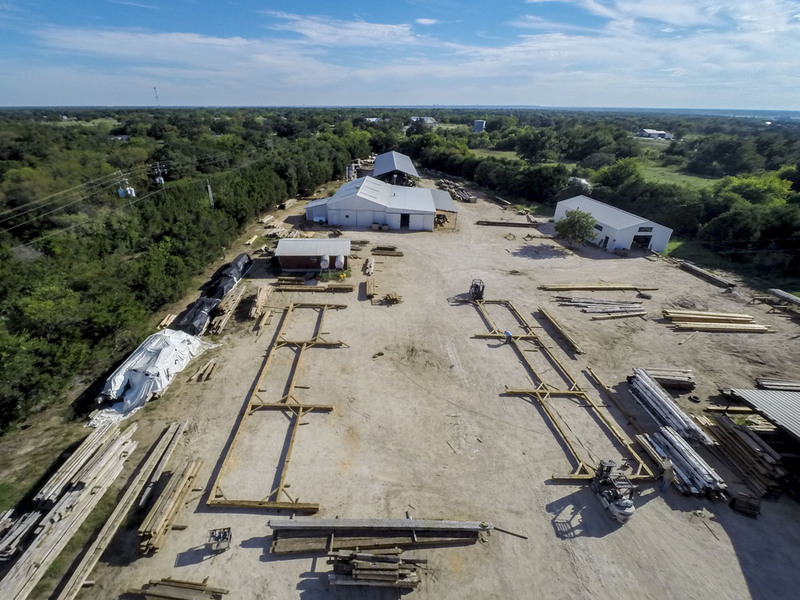 Although we found the barn in Fonda, New York, the company that's restoring the frame, Heritage Barns, is based in Waco, TX. After dismantling the structure they brought everything to their lot in TX where they inspect the entire structure, repair it if necessary, clean it and load it onto a flatbed for the trip back North. Here's a pic of two of the barns walls on the lot in Waco. They may look small from above but they're 77' x 21'. You can really get a sense of scale from the forklift at the bottom right. I'm not exactly sure how they got this picture!